A new Dungeons & Dragons movie looked ready to take wing last year, when Ansel Elgort signed on to the Rob Letterman-helmed adaptation from Warner Bros. And while Joe Manganiello could have looked into joining that production to satisfy his D&D proclivities, he’s instead rolling for initiative with his own project. The Magic Mike XXL star told MTV’s Happy Sad Confused podcast that he’s co-written a D&D movie with a “playwright friend from Carnegie Mellon,” which practically guarantees a great soliloquy from a dark elf. 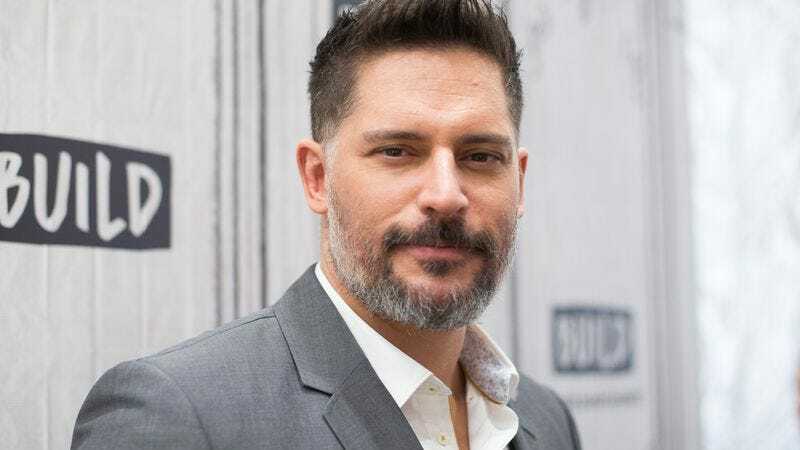 Manganiello says he’s met with folks at D&D publisher Wizards Of The Coast about his film treatment, though he didn’t indicate whether they’d joined his campaign. As for what kind of movie the Smurfs: The Lost Village actor has whipped up, Manganiello says he wants to see plenty of fire-breathing spectacle, but ultimately “what makes a great superhero or fantasy movie is the human aspect. It’s got to be about something. We root for those characters in Game of Thrones. Fellowship of the Ring was about friendship, this undying love for your friends. That’s something everyone can identify with.” There’s no word out of the WOTC camp, but Manganiello says he’s “talking to all the right parties” about moving forward.